Cnidoscolus longipedunculatus (Brandegee) Pax & K.Hoffm. Cnidoscolus polyanthus (Pax & K.Hoffm.) I.M.Johnst. 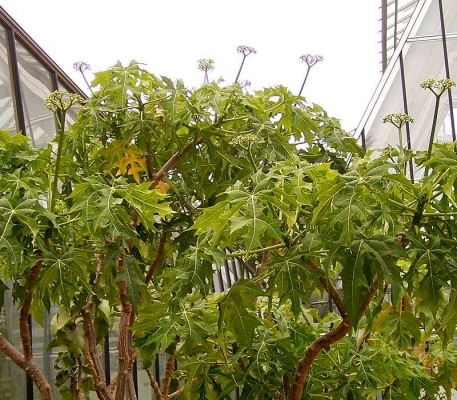 Jatropha polyantha Pax & K.Hoffm. Includes a treatment of the N. American genera of Euphorbiaceae, but not down to specific level. In can be downloaded from the Internet. Central America - Panama north to Mexico.